I’ve run off for the revising caves, and I’m frantically working on my manuscript. I’m so giddy right now, I don’t know that I’m entirely sane. I’m supposed to hate this part, or rather, I usually hate this part. But, But! It’s working. I’m just hoping that my monster isn’t as hashed together as Frankenstein’s monster. Back to the editing cave, because “It’s almost alive” just doesn’t have the right finality to it. Nevermind. He's been off SNL for too long for this to be funny. You aren't alone! Yay for us revisers! Best of luck with yours. Woo hoo! Go you! Edit the crap out of that MS! Hmm, I should be int hat cave too. Better stop reading people's blogs and get back to work! I love comments! Let me know what's on your mind. Rena Rocford is what happens when a Mad Scientist writes books, has a kid, and herds cats with helicopters--results may vary. She writes Science Fiction and Fantasy for all ages. 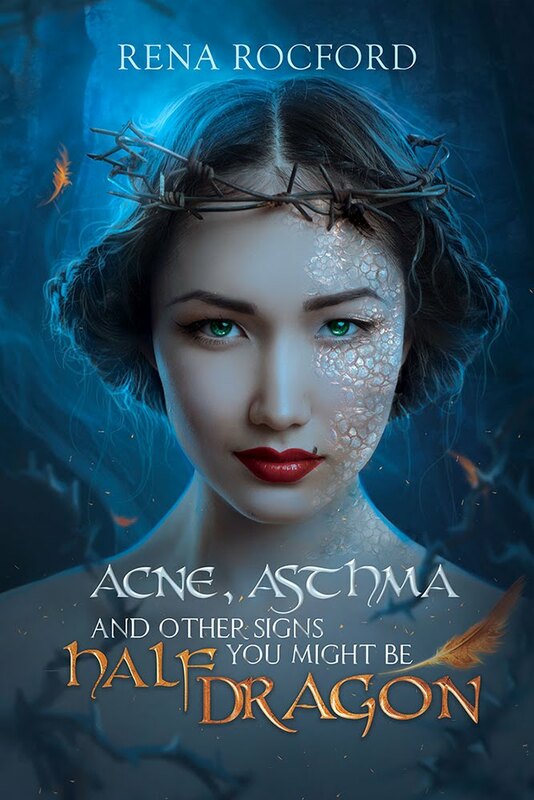 Her first book Acne, Asthma, and Other Signs You Might Be Half Dragon is available now from all major book retailers.